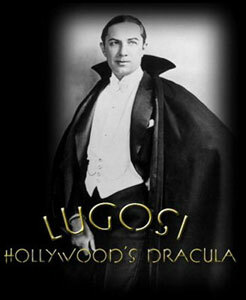 LUGOSI: HOLLYWOOD'S DRACULA - The documentary film Lugosi: Hollywood's Dracula is now available on DVD! This feature-length biography on the life and career of Bela Lugosi includes hours of rare and exclusive original footage and interviews, plus a bonus audio disc of various Lugosi recordings. A Spinning Our Wheels Productions release. Order yours now! "This is a great piece that fleshes out its subject with verve and fire." "The Count rises again in this brilliantly dramatic documentary...A wealth of rare footage...will make you feel as if you personally lived with Lugosi through his triumphs and tragedies." 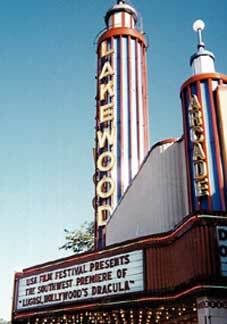 "The best film I've ever seen about Bela Lugosi. Absolutely wonderful." "The silver screen's blackest villain is remembered here by dozens of co-workers and friends and seen in amazing snippets from his rarest films and public appearances....An unequalled achievement in the realm of Lugosiana." "A beautiful job of capturing the essence of Lugosi..."
"All I can say is it's divine ... superb!"